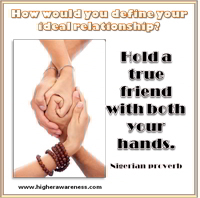 How would you now define your ideal relationship? 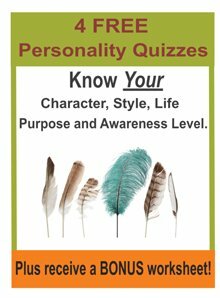 Having worked through all of these perspectives on relationships, you are now in a position to define a healthy and ideal relationship for yourself for whatever intention you set at the start of this program. Take time to put heart and mind into answering this question. Once you've described your ideal relationship, bring it to life so you can focus on it. Write affirmations, create a collage or find a symbol that represents your ideal then focus on this daily.